covering Norfolk and North suffolk, we can restore most surfaces that have been scratched,chipped or cracked saving you up to 50% off the cost of replacements. By repairing not replacing,Surface Repair Solutions can save you time and money plus it’s also good for the environment, reducing items sent to landfill. Virtually every surface around the home can be repaired, if you are not sure just get in touch. There’s no need to remove the damaged item or surface - all repairs are carried out on site and normally within just a few hours. Before the repair starts we fully protect the surrounding area and thoroughly clean up after we finish. We offer a 'no fix - no fee' solution so if we can’t repair a damaged item there’s nothing to pay! Surface Repair Solutions was started in May 2017 and since then I have restored many items including worktops,laminate floors,baths and basins that may otherwise have been replaced. With a wide range of materials and using the latest repair techniques I can restore most surfaces that have been chipped,cracked or scratched and by repairing rather than replacing, you are not only saving money,but are helping the environment by reducing waste going to landfill which is good for everyone. Working with both domestic and commercial clients across Norfolk and into Suffolk, I can offer flexibility when to comes to any time scales you may have and being independent,I believe my rates are very competitive when compared to national companies. I work with many local developers and building contractors,hold a CSCS card and can provide method statements and risk assessments to clients if required.Surface Repair Solutions has public liability of £5 million. In the local community we are members of Norfolk Chamber of Commerce and Buy Local Norfolk a not for profit organisation promoting the many businesses across Norfolk. 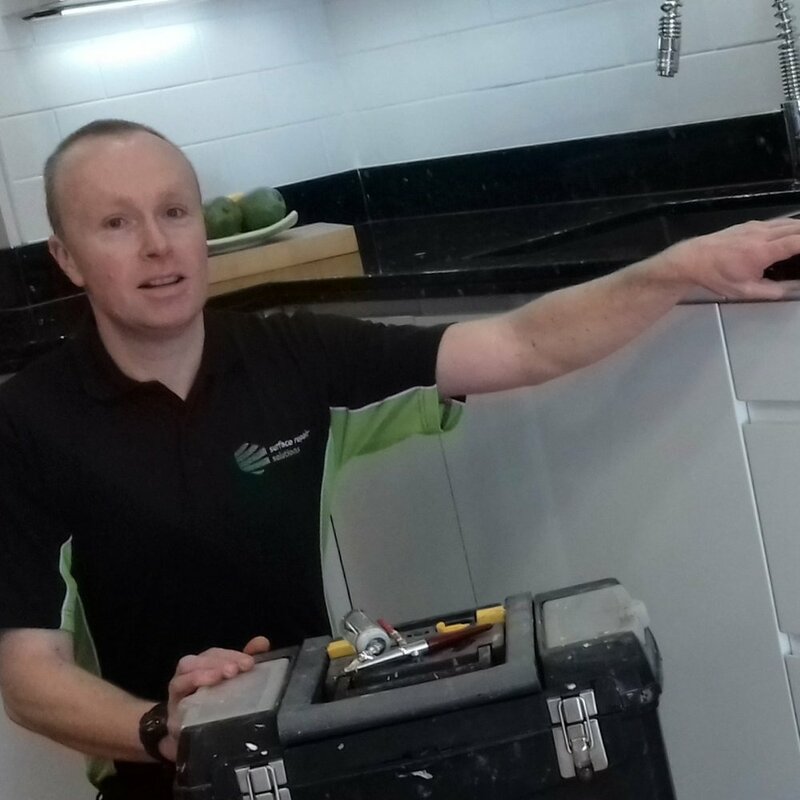 "The repaired area was virtually invisible from a foot or so away,and I was very pleased as it saved me from having to try and find a discontinued kitchen door,the repair was reasonable priced too.Stephen was very competent and professional and I would happily use and recommend him again-many thanks for your great work"
"Stephen turned up the same day I called,and worked his expertise on my kitchen worktop and the mark has now gone.A very honest,reliable and trustworthy trades person"